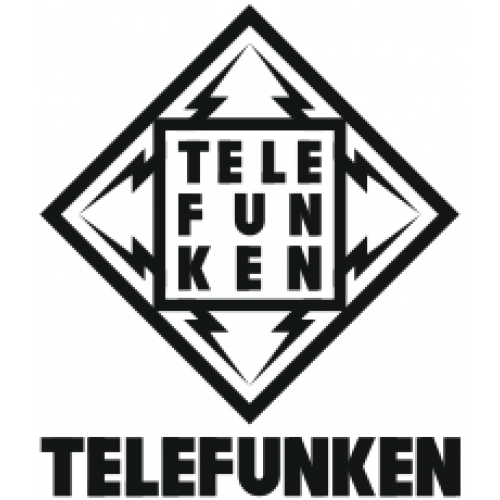 TELEFUNKEN Elektroakustik strives for absolute perfection. By offering historic recreations of classic microphones alongside our own proprietary designs based around the distinctive tube mic sound, we have established a product line that perfectly blends vintage style and sound with the reliability of a modern-day microphone. SGMC-10 XLR Cable (10 meter / 32.8 feet)10 meter (32.8 feet) XLR cableTELEFUNKEN Elektroakustik's Stage Series Microphone Cable has been engineered for use on live sound stages and in recording studios. Featuring cable made from 100% Copper wire, the..
SGMC-10R XLR Cable (10 meter / 32.8 feet)10 meter (32.8 feet) XLR cable with right angle female XLR connectorTELEFUNKEN Elektroakustik's Stage Series Microphone Cable has been engineered for use on live sound stages and in recording studios. Featurin..
SGMC-5R XLR Cable (5 meter / 16.4 feet)5 meter (16.4 feet) XLR cable with right angle female XLR connectorTELEFUNKEN Elektroakustik's Stage Series Microphone Cable has been engineered for use on live sound stages and in recording studios. Featuring c..
STMC-10X - 10' XLR CablePremium 10' XLR cable made in the USA.TELEFUNKEN Elektroakustik's Studio Series Microphone Cable has been designed to achieve the perfect sonic transmission of sound signals for all critical studio and stage applications. Made..
STMC-5X - 5' XLR CablePremium 5' XLR cable made in the USA.TELEFUNKEN Elektroakustik's Studio Series Microphone Cable has been designed to achieve the perfect sonic transmission of sound signals for all critical studio and stage applications. Made in..
Telefunken THP-29 Isolation HeadphonesDeveloped in partnership with Direct Sound, the TELEFUNKEN THP-29 Extreme Isolation headphones are designed for use in both the studio and live sound environments. Ultra-fidelity, high input 40mm speaker drivers ..
TK60 CARDIOID CAPSULETK60 Cardioid CapsuleThe TELEFUNKEN TK60 is a small diaphragm cardioid capsule used with the ELA M 260 tube microphone and the M60 FET microphone. Featuring a 6-micron gold-sputtered membrane measuring 15mm in diameter, the TK60 ..
TK60 Cardioid MATCHED SETTK60 Cardioid CapsuleThe TELEFUNKEN TK60 is a small diaphragm cardioid capsule used with the ELA M 260 tube microphone and the M60 FET microphone. Featuring a 6-micron gold-sputtered membrane measuring 15mm in diameter,..
TK61 OMNI CAPSULETK61 Omni CapsuleTK61 Omni Capsule The TELEFUNKEN TK61 is a small diaphragm omnidirectional capsule used with the ELA M 260 tube microphone and the M60 FET microphone. Featuring a 6-micron gold-sputtered membrane measuring 15mm in di..
TK61 Omni-Directional MATCHED SETTK61 Omni CapsuleTK61 Omni Capsule The TELEFUNKEN TK61 is a small diaphragm omnidirectional capsule used with the ELA M 260 tube microphone and the M60 FET microphone. Featuring a 6-micron gold-sputtered membrane meas..
TK62 HYPER-CARDIOID CAPSULETK62 Hypercardioid CapsuleTK62 Hypercardioid Capsule The TELEFUNKEN TK62 is a small diaphragm hyper-cardioid capsule used with the ELA M 260 tube microphone and the M60 FET microphone. Featuring a 6-micron gold-sputtered me..
TK62 Hyper-Cardioid MATCHED SETTK62 Hypercardioid CapsuleTK62 Hypercardioid Capsule The TELEFUNKEN TK62 is a small diaphragm hyper-cardioid capsule used with the ELA M 260 tube microphone and the M60 FET microphone. Featuring a 6-micron gold-sp..
TK60, TK61 & TK62 capsule setTK60 cardioid, TK61 omni & TK62 hyper-cardioid capsule set for ELA M 260 or the M60 FET microphoneTK60 Cardioid Capsule The TELEFUNKEN TK60 is a small diaphragm cardioid capsule used with the ELA M 260 tube m..
Telefunken TK6X Capsule Set MATCHED SET(6x capsules)TK60 cardioid, TK61 omni & TK62 hyper-cardioid capsule set for ELA M 260 or the M60 FET microphoneTK60 Cardioid Capsule The TELEFUNKEN TK60 is a small diaphragm cardioid capsule used with t..
WB00 Microphone Wooden Box (CU-29)Wooden mic box with diamond logo fits CU-29 Copperhead..
WB01 Microphone Wooden Box (AK-47, AR-51, M16)Wooden mic box with diamond logo fits AK-47, AR-51 and M16..
WB10 Microphone Wooden Box (C12, C24)Oak box with diamond logo fits C12 / C24..
WB40 Microphone Wooden Box (U47, U48)Microphone Oak Wood Box with Diamond Logo for U47/U48 Long Body..
WB50 Microphone Wooden Box (ELA M 250/251)Microphone Oak Wood Box with Diamond Logo for ELA M 250/251 or ELA M 250E/251E..
WB60 Microphone Wooden Box (ELA M 260, M60)Microphone Wooden Box with Diamond Logo for ELA M 260, C60, C61, KM84, or Other Small Diaphragm Microphones..
WB70 Microphone Wooden Box (ELA M 270)Microphone Oak Wood Box with Diamond Logo for ELA M 270..
WB70AR Microphone Wooden Box (AR-70 STEREO)Microphone Wooden Box with Diamond Logo for AR-70..